Between the Buried and Me will be embarking on a headlining tour across North America this fall. For the first time, the band will be performing The Parallax, both parts I and II, in their entirety. 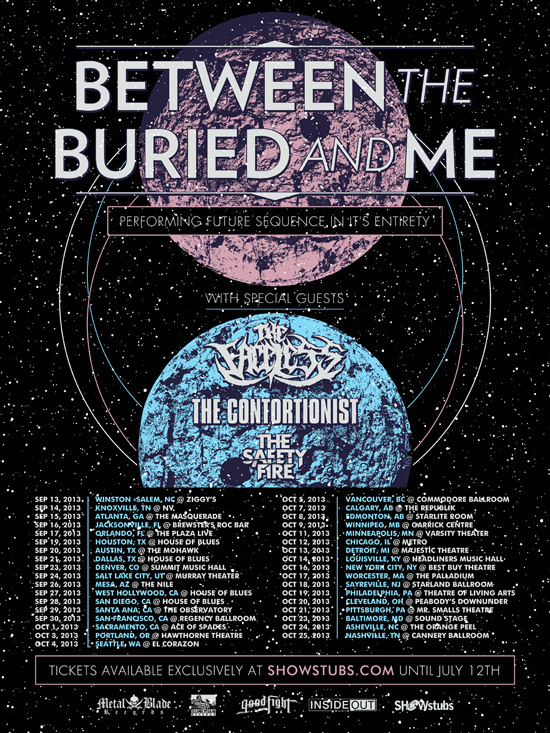 Joining the band for this tour will be The Faceless, The Contortionist, and The Safety Fire. The tour is scheduled to begin on September 13 in North Carolina and will wind its way across the US and Western/Central Canada before wrapping up in Tennessee on October 25. Tickets are on sale now exclusively through SHOWstubs.com. Additionally, VIP packages are being offered. Fans have their choice of a general admission ticket, or deluxe bundles featuring an exclusive shirt, necklace, button pack, poster, loaded flash drive, or a flexi disc with the live version of Astral Body. And of course, bundles are available while supplies last! Additional general admission tickets are on sale now through local outlets. Between The Buried And Me’s ambitious concept album, The Parallax II: Future Sequence, released in October of 2012, was the North Carolina-based band’s highest Billboard chart position of their career at #22 on the Top 200. The album also peaked at #3 on the Billboard Hard Rock Albums chart, as well as earning accolades from Guitar World Magazine and claiming the #18 spot on the publication’s list of top 50 albums of 2012. 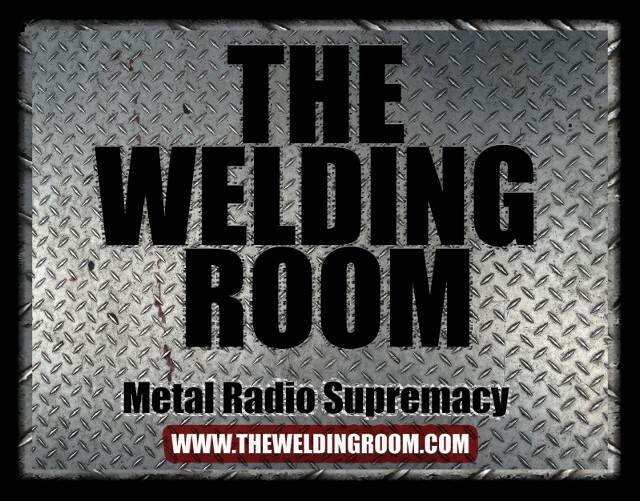 This entry was posted in METAL and tagged Between The Buried And Me, Contortionist, Entertainment, Faceless, Hollywood, metal radio, metal radio shows, New York City, Safety Fire, Santa Ana California, Sayreville New Jersey, Starland Ballroom. Bookmark the permalink.